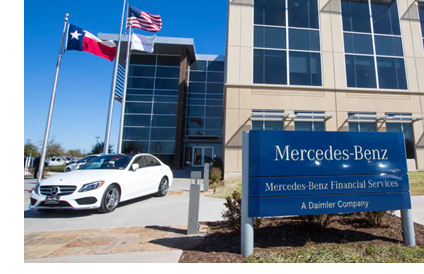 ​​ ​FORT WORTH – Mercedes-Benz Financial Services USA LLC is starting work on a 200,000-sf business operations center in the AllianceTexas development. The project will cost approximately​ $20.2 million, according to TDLR. The new office building at 14372 Heritage Pkwy. will open in 2019 with about 900 employees. The company now is located in a 164,000-sf office building at 13650 Heritage Pkwy near I-35W. No sign-ups, no newsletters, just pick and print DFW Office Market Research.